Over 90% of the population uses the internet to research cars before buying, and the majority already know what they want before ever stepping foot on a dealer’s lot. With less time and influencing power, it’s important for dealerships to provide an exclusive, in-person experience to their customers. Lighting and audio systems help reaffirm the brand identity and establish a connection with the consumer, while video distribution and automated control components allow customers to interact with displays, build their dream car or schedule future services. From in-car entertainment to the dealership experience, HARMAN solutions provide your customers with a consistent feel and an unrivaled ambiance as soon as they arrive. As consumers’ favorability towards e-commerce increases, enticing them to visit a physical store becomes more and more of a challenge. While e-commerce provides a critical touch point, the building and cultivating of your brand is done in person with physical experiences. With the correct use of audio, video, and lighting, your property can increase dwell times and engage guests in the form of digital ads, wayfinding, or emergency alerts. HARMAN’s scalable solutions provide retailers the ability to truly transform themselves into irreplaceable experiences. Guests in changing rooms want the perfect, tailored experience. Control technology from HARMAN allows customers to change the lighting, audio source, volume, and more—even alert the sales staff—all from an intuitive touch panel. The perfect display grabs the customer’s attention and encourages them to learn more. HARMAN architectural lighting and digital signage technology engage the customer with innovation and style. The store café allows the customer to relax and enjoy a snack or grab a drink while continuing to shop, extending the in-store experience. HARMAN’s restaurant solutions engage customers with background music, television, and more. When customers walk through the store, the right audio, video, and lighting solution from HARMAN will draw their eyes and create the perfect experience which keeps guests engaged. HARMAN’s architectural lighting and digital signage solutions create unique experiences which set brands apart and creates a signature retail experience. A store’s demo area engages customers at that critical point where they pick up the product and decide if they can imagine using it. 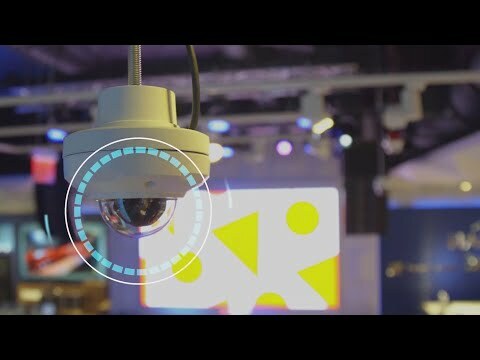 By combining audio, video, and lighting technology with sensors and intelligent automation, stores engage customers in truly unique, meaningful ways. HARMAN Professional Solutions provides industry-leading technology for both entertainment and commercial applications, making us the perfect partner for retailers desiring to make their store a destination. Through proper design and mixed-use space, any retail facility can transform from a traditional retail outlet to a memorable entertainment destination. From shopping malls to retail stores to car dealerships and showrooms, HARMAN has an expansive technology portfolio to meet your needs. Distributed audio system ensures ideal shopping experience. HARMAN audio-visual and customer analytics solutions provide retailers with the tools needed to stand out from the competition. HARMAN is the preferred U.S distributor for the Samsung SDS Nexshop analytics and contextual marketing platform. Learn how HARMAN’s flagship retail store on Madison Avenue, NYC has integrated SAMSUNG’s Nexshop data analytics and contextual marketing platform.